I have two Rimmel products to review, the good is the Professional Eye Brow Pencil and the bad is the Scandal'Eyes mascara. The ugly of course is close up shots of my face and eyes! Rimmel is staple brand in most young women's make-up bags. 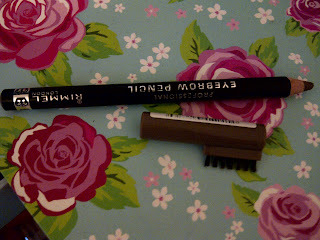 For years I raved over their mascaras when I was younger, but I switched to Max Factor when I got a bit more pocket money. 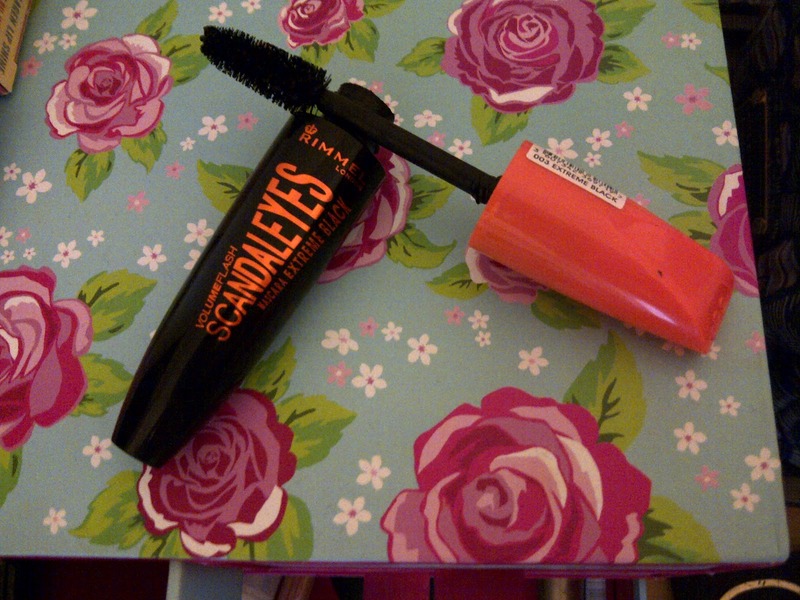 My trusty Max Factor False Lash Effect mascara was coming to an end, so I popped into Boots and picked up Rimmel's Scandal'Eyes mascara. Sorry for the close up shots, scary I know! I left the smudges on my lid to show you guys how much mess this product makes! The formula is extremely wet, this plus a over sized brush equals splodges everywhere! 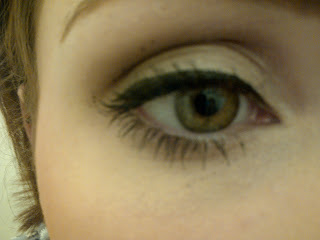 As for it's claims to volumize lashes, it didn't in my opinion. The big bristle wand grabbed all the lashes perfectly achieving length more than volume! Overall opinion? I think it's okay if you are in the market for a lengthening mascara, but I would wait until it dries out a little to avoid smudges like I had. Now for the good! 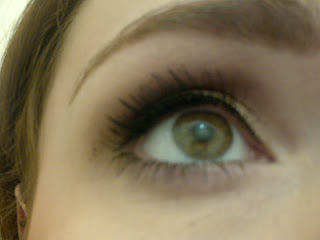 Up until a few weeks ago I was using a brown matte eyeshadow and an angled brush to fill my sparse fair eyebrows in. After Beauty Crush on Youtube posted a eyebrow tutorial video in which she used Professional Eye Brow Pencil, I picked it up - my shade is in Hazel. It's formula makes it easy to fill in gaps and line the brows perfectly, it was a slight waxy texture which helps keep my wild brows in place. Dodgey photo camera shot to show my brows! 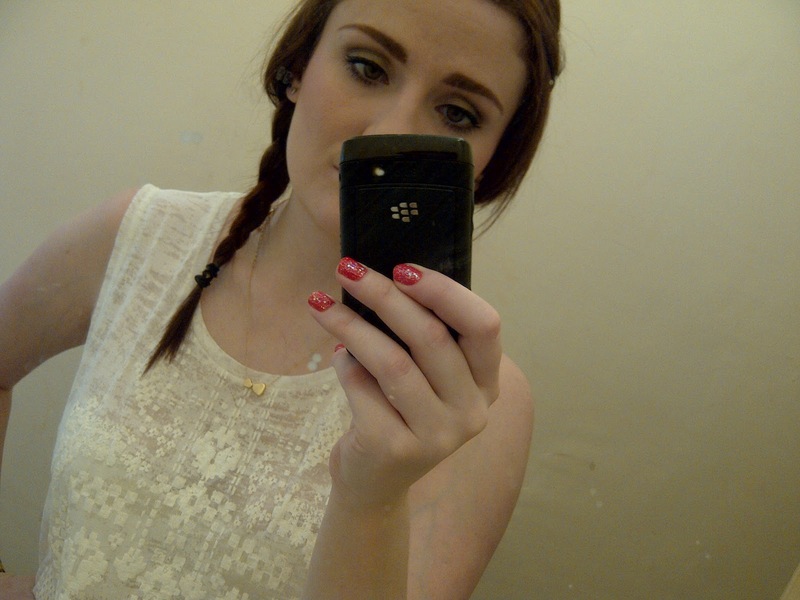 I have a Scouse brow look going on! 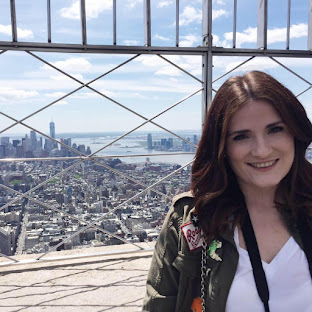 What do you think of Rimmel's products? Which do you love/hate? I totally agree with you about Scandaleyes! I use the same eyebrow pencil and agree, it's good!